Session musician who has drummed for a variety of high-profile artists, such as Paul McCartney and Eric Clapton. He is a member of the Chocolate Genius, Inc. music collective. 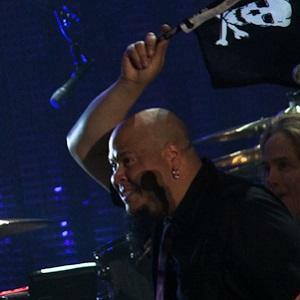 He graduated from the Berklee College of Music in 1993 and was mentored by famed drummers like Chester Thompson. He was the in-house drummer on the popuolar Nickelodeon sketch comedy show Roundhouse in the 90's. His father is renowned bassist Abraham Laboriel, Sr. He got his big break as the touring drummer for legendary guitarist Steve Vai.